Ever wondered why the number of your friends has changed? This app will show you! 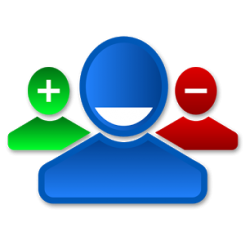 Just install this application and we'll send you a notification when someone unfriends you or block you! You can customize how to see your friends list and also decide which notifications you want to receive! Your friends list exists only on your mobile device - so your friends' data will never be shared. This application can't show you the changes before it's installed.